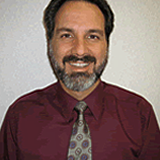 Dr. John Longinotti has degrees in Psychology and Biology from State University of New York and went on to complete his Doctorate in Chiropractic Medicine. He takes a holistic approach to care staying on top of current research and techniques which improve patient outcomes. Dr. Longinotti is a Member of the Parker Chiropractic Research Foundation and Member of the American Chiropractic Association.